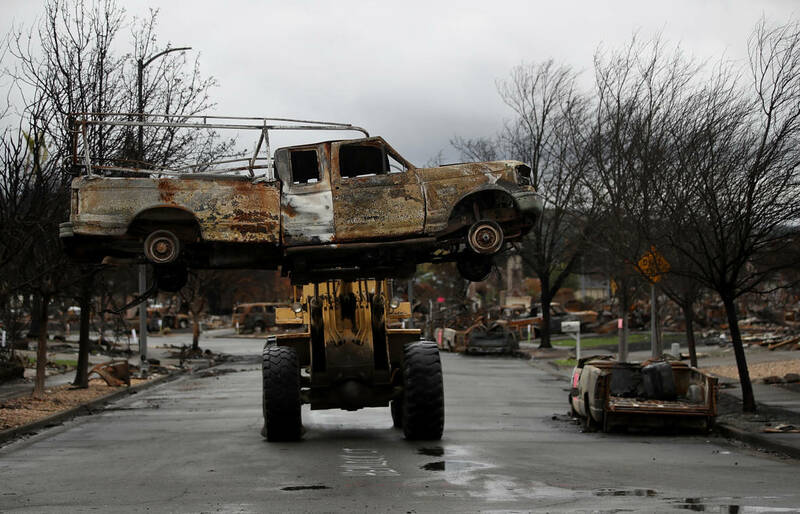 Two months later -- with fires blazing from the Oregon border to San Diego -- legislators are poised to wade into a political firestorm sparked by last year’s historic fires and mudslides, which destroyed about 10,000 buildings and killed at least 66 people. The biggest fight will be over liability -- who pays for billions of dollars of damages from the loss of so many homes, businesses and lives? Expect another battle over how much utilities like Pacific Gas & Electric can pass liability costs onto their customers -- and whether the state should step in to help. The backdrop for the drama: The scientific expectation that hotter, drier conditions brought on by climate change make it likely that California will suffer more large, intense fires. Interest groups with huge clout are gearing up. On one side are power companies that supply electricity to Californians and campaign cash to politicians. Their allies include an influential union representing electrical workers, and some environmentalists who see utilities as key players in California’s fight against climate change. On the other side stand different moneyed interests and political juice: insurance companies, plaintiffs’ lawyers and a coalition of fire victims that includes local governments and well-to-do homeowners. Courts have ruled that the state Constitution gives utilities eminent domain rights -- the power to take private land for public use. Subsequent rulings determined that utilities bear the associated responsibility in the form of strict liability. Under inverse condemnation, utilities are liable for any wildfire damage traced to their equipment -- even if they were not negligent in maintaining it. 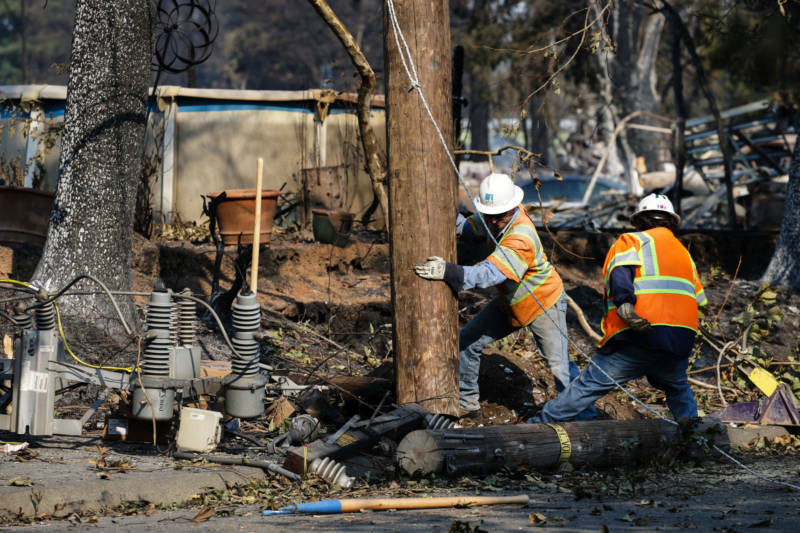 PG&E and other utilities are pushing to change inverse condemnation, arguing that it -- combined with regulators’ decision barring San Diego Gas & Electric from passing liability costs on to customers following a 2007 wildfire -- could cripple them. 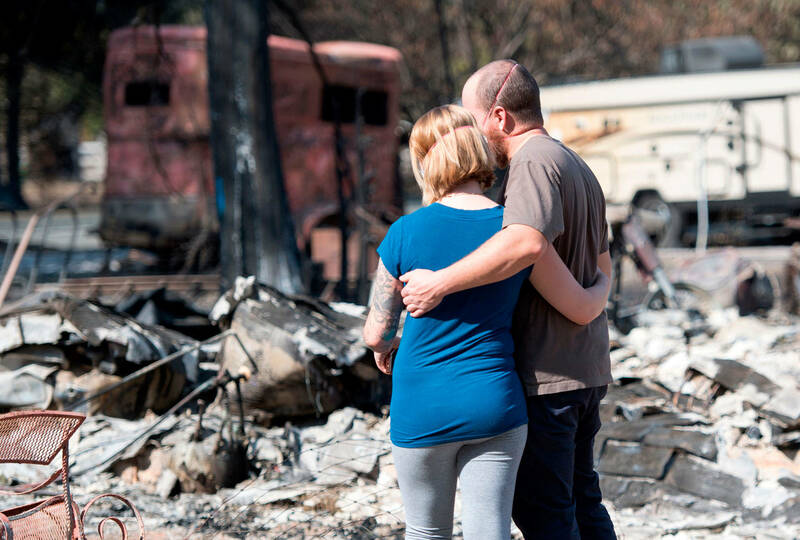 “Without reform, the application of inverse condemnation directly threatens our shared energy future and the financial viability of California’s utilities that could unjustly face billions of dollars in liability without any ability to spread these costs across customers -- irrespective of whether they are at fault for these wildfires,” said a statement from PG&E spokesman James Noonan. 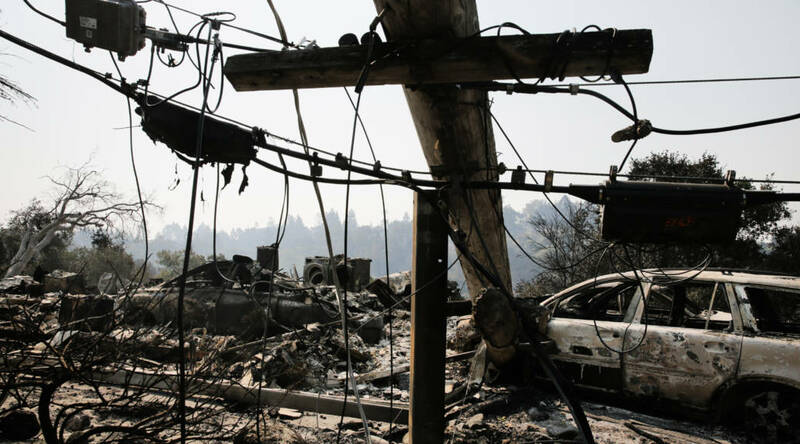 Insurance companies and fire victims want to keep the inverse condemnation law -- seeing the enormous liability it creates as an incentive for utilities to do everything possible to make the electrical system safe. Though raising rates for customers is politically unpopular, Wetch says it’s no different than how other businesses handle disaster -- whether it’s an unexpected freeze that causes vegetable prices to rise, or an explosion at an oil refinery that triggers a jump in prices at the pump. Lower credit ratings make it more expensive for utilities to borrow money that allows them to build clean-energy projects such as charging stations for electric cars and battery storage for solar power -- items lawmakers and Brown have prioritized in California’s fight against global warming.